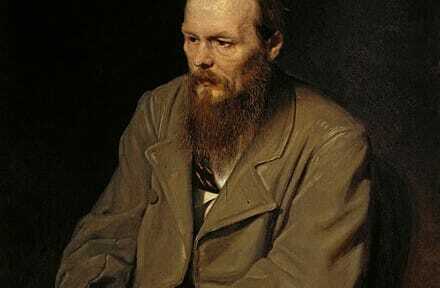 Anna met Dostoyevsky because he made a very bad deal over his advance with an unscrupulous publisher. In return for the advance, Dostoyevsky promised to deliver his next novel, the Gambler, within twelve days, and if he failed, the publisher had the rights to publish all his existing novels for nine years without making any royalty payments. Dostoyevsky hired Anna to take his dictation, and with her skilled short hand they made the deadline, delivered the novel, and got married to boot. But Anna decided another publisher was not what they needed. She felt that they must become authorpreneurs, authors who are also entrepreneurs, so the couple formed the Dostoyevsky Publishing Company to publish his next book, Demons, which they sold out of their apartment in St. Petersburg. They made good money by cutting out the publisher, and Anna managed their finances for the rest of their lives, mostly keeping them above water even when Dostoyevsky occasionally succumbed to his gambling addiction. She blithely admitted that her first non-fiction book and two blogs failed to excite any interest, but like any good business person, she chalked them up to experience, wrote more books and started the blog The Creative Penn, which I first came across last year and wish I’d found sooner. During the last five years, Penn has used the blog to chronicle her journey from no-selling author to USA Today best selling author, and to share her mistakes and her successes with other writers. She provides useful guides for newbie indie publishers, and continues to post blogs and podcasts on all topics related to writing and publishing. She also authors triller fiction under the name J.F. Penn, and I was lucky enough to receive a free copy of Desecration, the only book she gave away that evening, because we’re both taphophiles, also known as Tombstone Tourists, people who will go into grave yards to read the tombstones and explore history. I once lived in a 150 year old farmhouse that had been owned by only one other family, the Shiers, passed down from generation to generation. I happened into a local graveyard and saw the name on a stone and I was hooked. The gravestones told the stories of the people who had been born, lived, and died in my house. Some survived into their 90s, probably because they were hard working Quakers, while other generations saw fever take several siblings in a matter of days. The history of that family was carved in stone. But I digress. Penn encouraged us to blog, Facebook and Tweet about our interests, because some readers will note they have something in common, which is why Penn and I ended up talking about tombstones we liked. Now I’m looking forward to reading Desecration on my holiday this summer because I can’t wait to discover the connection to taphophiles. Penn is an excellent authorpreneur. I’m already reading one of her non-fiction works, How to Market a Book, and I’m looking forward to putting some of these lessons to work for my novels. I can’t say that I’ll ever be a best selling author, but I know I can be a better selling author. It’s a long road, but whenever I look around, I find engaging people like Penn who are willing to help, and they remind me that The Journey is the Reward. Penn is enjoying the journey, and for a couple of hours last week, she let us share it with her. It was fun.